Xizang (Tibet): Damxung (Dangxiong) Xian. Wuma, N of the village of Songpanpan and S of Nyainqentangulha Shan (Nyanchen Thangila) La (pass). Ungrazed area between road and cultivated field of Hordeum; soil moist, dark, clay loam. 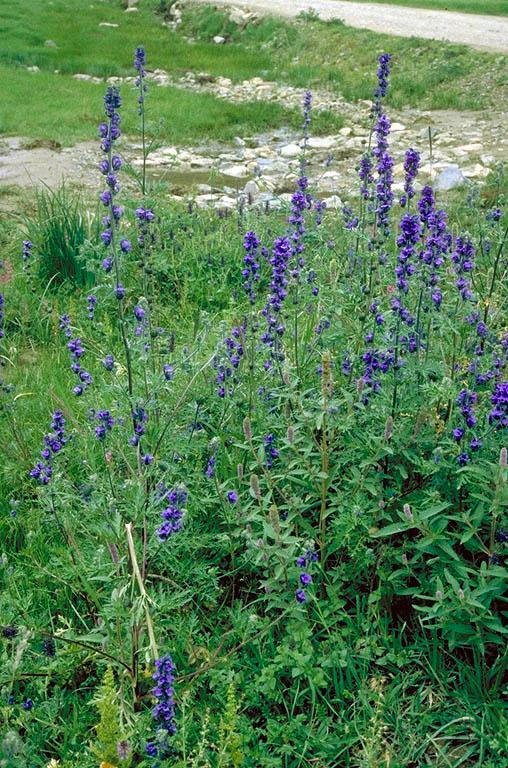 30°2'2"N, 91°16'13"E; 4000 m.
Plants to 1 m tall; flowers bluish purple fading to purple.